Hi everyone! 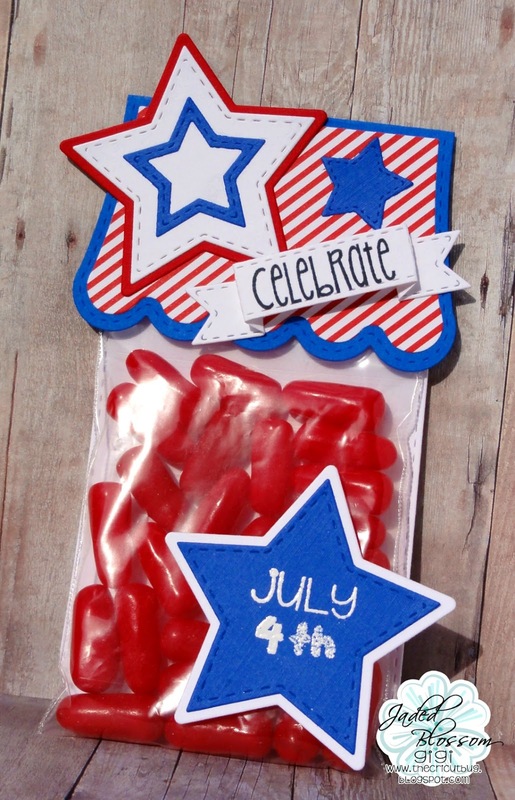 This is GiGi from The Cricut Bug and I am sharing some fun 4th of July treats seeing as it's only 2 days away! These were super fun to make and fast too! I only used JB dies to create these. I started this project with the Layered Frame and Journal Die. 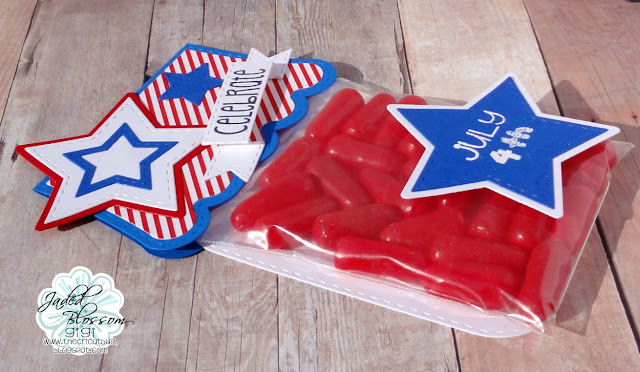 I cut the big die for the background and stapled a 3 X 4 inch Clear Bag that I filled with candy to it. 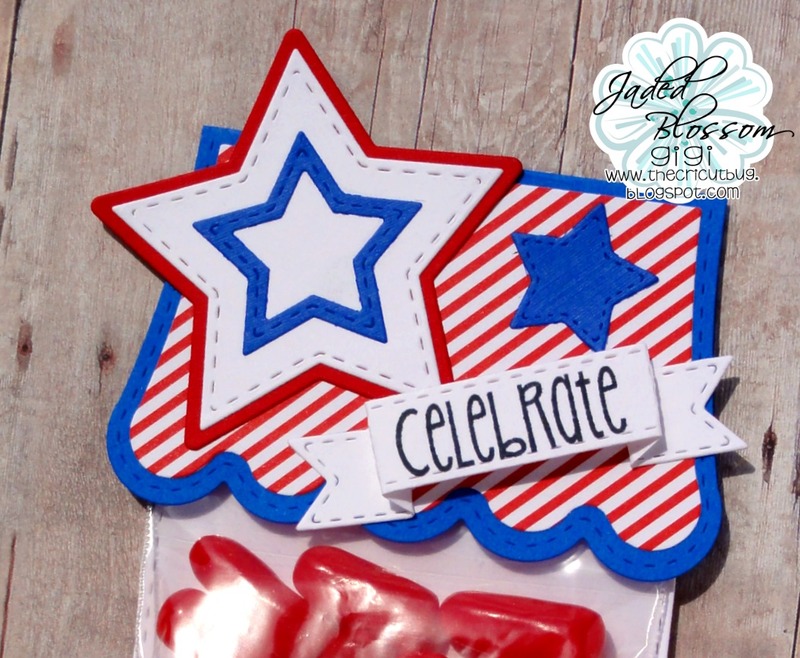 I cut the topper using the Scallop Slider and Topper Die and attached that to the bag and background mat. I cut all the stars from the Star Dies and the sentiment banner from the Dimensional Banner Dies. I stamped the sentiment onto the banner using the Picture This stamp set and for the bottom 4th sentiment on star I used a combination of the Bingo and Journal Calendar stamp sets. Super quick and so fun for the 4th of July! I hope you all liked my project for today and have a fun and safe 4th of July!